It was a windy day but fortunately there was no rain. When the Leaders arrived to set up we had to change the route of the race track because bushes had grown on the route and it was getting a bit narrow. Cubs from 11 Packs attended the event. The Cubs were racing in their age groups 8.9. and 10. The reason for this was this year the Cubs were individually scored. We took the two highest scores from each group to decide who would be the winning group. We believe that this made it fairer for the groups that did not have as many Cubs taking place. Hot dogs, crisps, Kit Kats and chocolate bars were for sale. Once again, Cubs love a Hot Dog and they all sold out. The Cubs all enjoyed the races and there were no serious crashes. We only used one plaster. The Cubs were asked at the end if they had enjoyed the day and would they like to do it again next year, a large shout went out they want to do it again. There were trophies for the 3 highest scores in each age group and a trophy for the winning group. 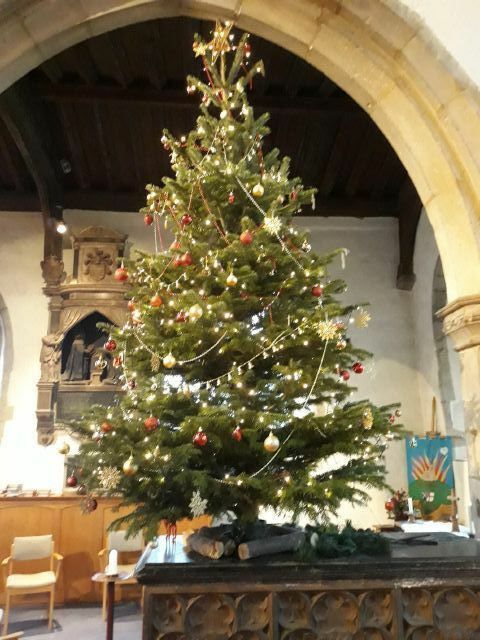 Thank you to all the leaders that helped put on this event: Richard Thorn, John Dodd, David and Connie Dutch, Sandra Smith, Ian Meadows, Chris Plume, Ian Arnold, Mick Cross. Also thank you to all the Young Leaders that helped. 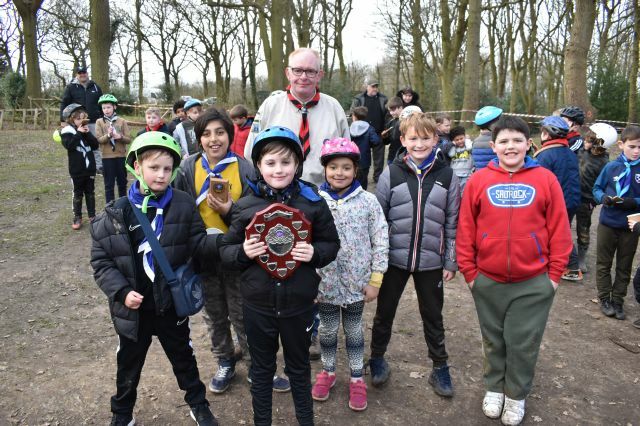 It was great to see so many Beavers, Cubs, Scouts, Young Leaders, (old) Leaders and parents celebrate Baden Powell’s birthday at our recent annual Scouts Own. The weather beat us for the parade part but Cub Leader Jack gave us an excellent history of the 8th Hornchurch Scout Group and finished off with the ever popular quiz. We all learnt a lot more about the history of OUR Scout Group. It was great that we could finish the Service with a number of presentations to the victorious swimming gala team who between them won the Cub Trophy, won the Group Relay and won the Overall Cup – well done. 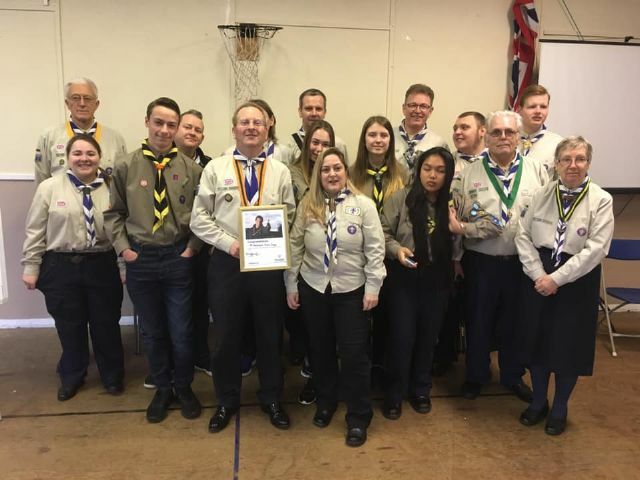 We were also very pleased to welcome our District Commissioner, Debbie Carter, who presented the Group with a certificate signed by Bear Grylls celebrating the 8th as being the largest Scout Group out of some 620 Scout Groups in the London Region. Congratulations to all of the leaders, assistants and parent volunteers who give such great Scouting to all of our many members. If you want to get involved in the Scouting Adventure and join the fun please speak to your section leader or use the link on our website. Thanks again to everyone for coming to our Scouts Own. This years Winter Camp was a challenge camp. Lots of activities and challenges to test the Cubs. They had a super time and the weather was good. Would you believe that he smallest .Cub can eat a doughnut on a string in less than 60 seconds. Well done to all the Beavers, Cubs and Scouts who attended the service at St Andrews Church this weekend. 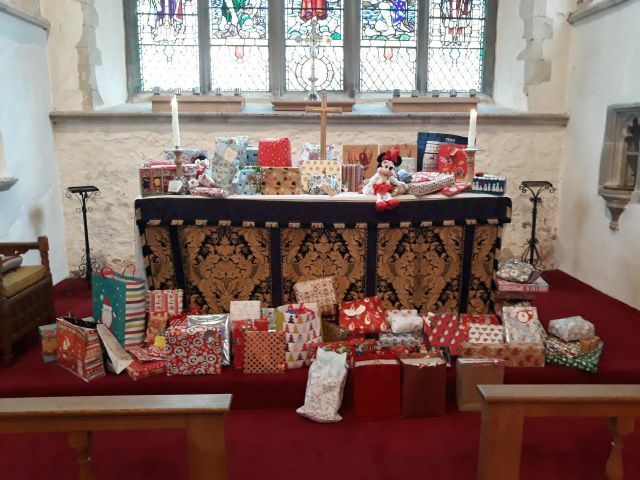 Thank you also for the presents that you donated for the unprivileged children in the borough. To all the Beavers, Cubs, Scouts, Explorers and leaders who took part in the recent Remembrance Day Parade, Thank You for your respectful presence at the centenary of Armistice Day. This year was perhaps one of the biggest parades I have seen in Hornchurch and it was great that the Group was so well represented. My thanks to Michael Henry (Scout) who laid the wreath with all due respect and to Adam Snell who paraded the Group colours. 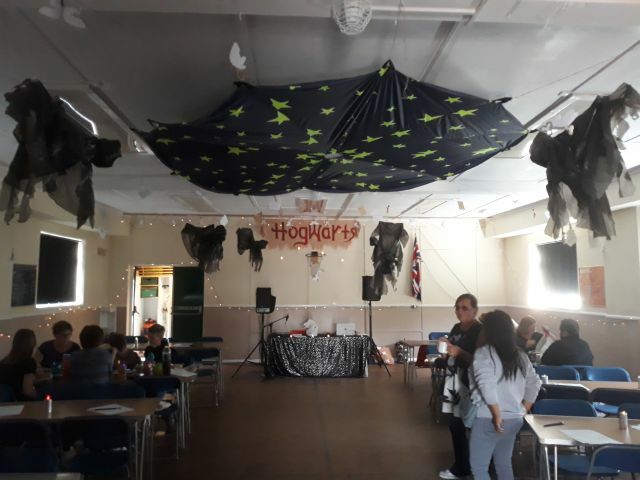 On Saturday, we held our Harry Potter Quiz at HQ in memorial of Donna Bresslaw, who was sadly taken from us too soon just a year ago. The quiz was to raise important funds for The British Heart Foundation and St Francis Hospice – charities chosen by Jack, Molly and Lucy (Donna’s children). The afternoon started at 1pm with some outdoor games run by the Explorers and refreshments including Butterbeer! The quiz took place in the hall, which was wonderfully decorated by Essie Jay. The quiz included 10 rounds and a picture round all based on Harry Potter. Questions ranged from Harry himself to Hogwarts to Beasts, Potions, Spells, Quidditch and some of the other characters. The winners were Honey Dew with 118 points and they took home the “Smarties” – see what we did there! The losers were We don’t know who lived up to their name and took home the Lemons! Everyone had a fabulous afternoon and we raised a massive £320 which will be split equally between both charities. The Fundraising Committee would like to thank quizmaster, Mick, everyone for coming, those that donated prizes and/or time and the leaders for circulating the details of the quiz for us. We look forward to the next event!